Foster is the stereotypical 'trucker with a heart of gold'. 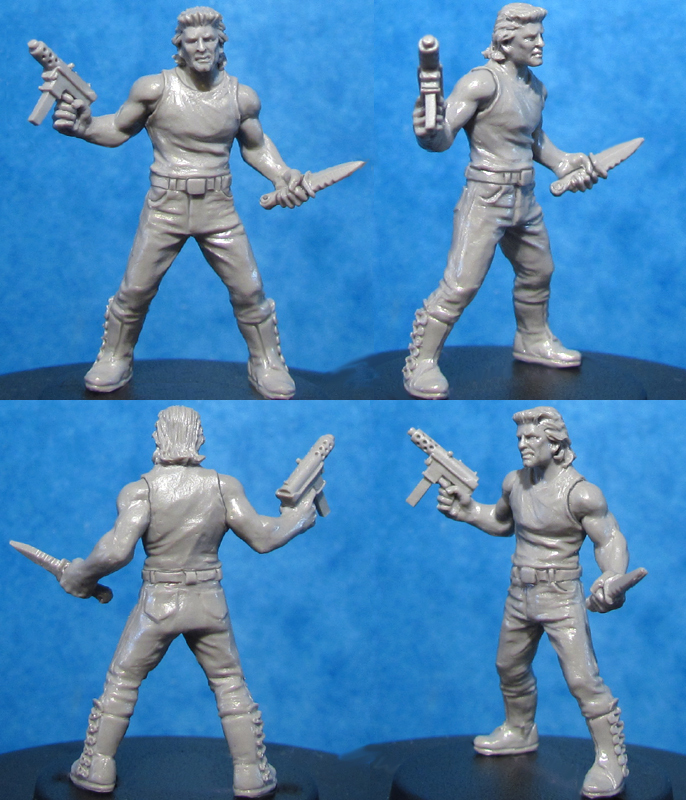 A tough guy on the outside and marshmallow on the inside, seen here with his trademarked snarl, a Tec 9 and the most feared weapon int he truckers arsenal, the mullet. This is a Limited Edition Resin 'Master Casting' of Foster, the standard white metal version (when available) can be found below. These Master Castings are strictly limited to however many we can get out of any Master Moulds before they deteriorate. These are about as limited as anything we've made and are the closest thing to the original green as possible so hold the highest level of detail available.